SLV 552102 FlexLED Roll, warm white, 1m, 60LED/m, DC 24V. SLV 145730 EUTRAC pendulum clip for 3-phase track, black. SLV 145721 EUTRAC pendulum rod fixed for 3-phase track, 60cm, white. SLV Easy Lim Pro RF Master de impuestos, radio, 12 V/24 V, máxima 33 W, 3 canales 470600. SLV 145551 EUTRAC spring clip for 3 phase recessed track, white ( 6er Pack ). 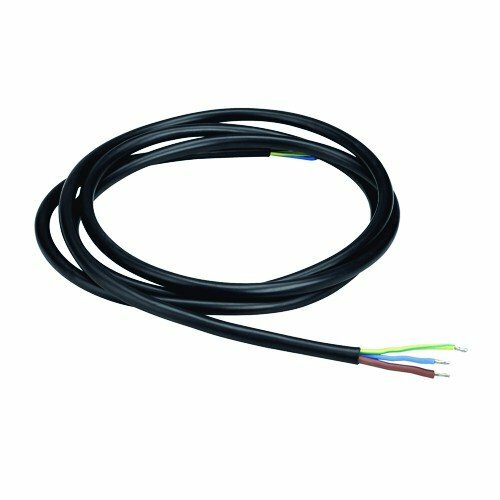 SLV 145541 EUTRAC feed-in for 3-phase recessed track, predection conducter left, white. SLV 145711 EUTRAC pendulum rod fixed for 3-phase track, 120cm, white. SLV 233010 Clips for TUBELIGHT LED 100 pieces. SLV 160774 KUNO ceiling lamp, silver- grey, 2xT5 54W. SLV 112971 TWISTER 1er frame, round, white. SLV 184302 flex coupler for EASYTEC II, silvergrey. . SLV - Cable eléctrico (3 cables interiores, 2 m).